We're moving! Please use the NEW Truchas Mexicanas' Page! 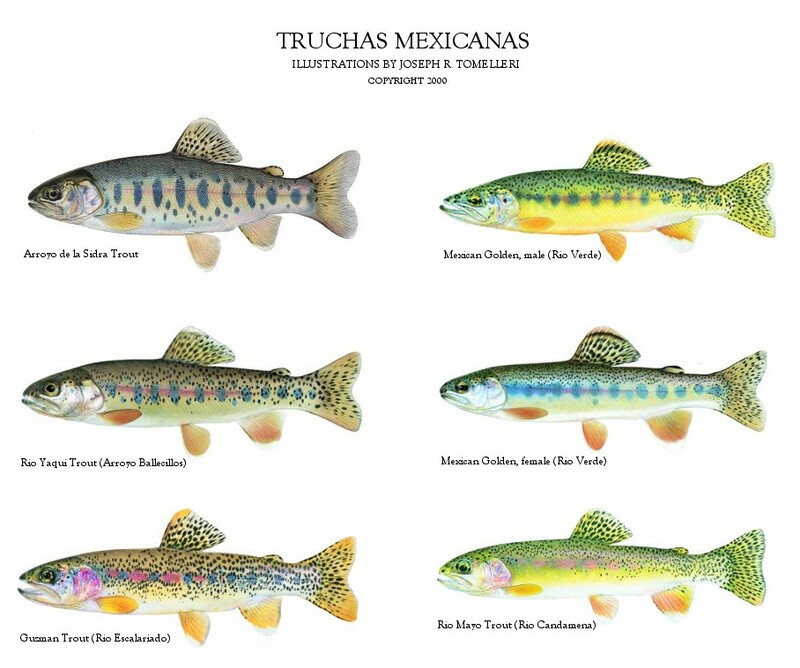 In general, taxonomy, systematics, ecology and conservation status of native Mexican trouts (in Spanish "Truchas Mexicanas") are little studied. Threats to their continued existence include impacts of steadily increasing forest exploitation and introductions of exotic species, primarily exotic rainbow trout, for fish culture. Our binational group called "Truchas Mexicanas" initiated collections of these trouts in order to better understand both their evolutionary history and ecology and to obtain materials for scientific descriptions. Basic prelimary results of these ongoing studies are reported upon here. Additional details may be obtained from Dean Hendrickson or other project participants.